Borko Duronjić is the product of the famous Red Star Belgrade youth academy, where he’s been regarded as a huge talent from an early age. In January 2014, quite unexpectedly, he transferred to OFK Beograd – the local rival and the club that’s been putting emphasis on the youth and talented youngsters. He made his professional debut for “Romantics” on 8 October 2014 in a league fixture, coming on as a second-half substitute for Dejan Dražić in a 0–3 away loss to Vojvodina Novi Sad. 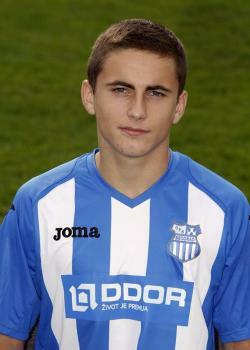 Despite being born in Bosnia and Herzegovina, Duronjić decided to represent Serbia and currently is a member of “Оrlovi” U-19 setup.